Relocating to the West Coast means I need to find more places in the west to satisfy my hungry stomach. 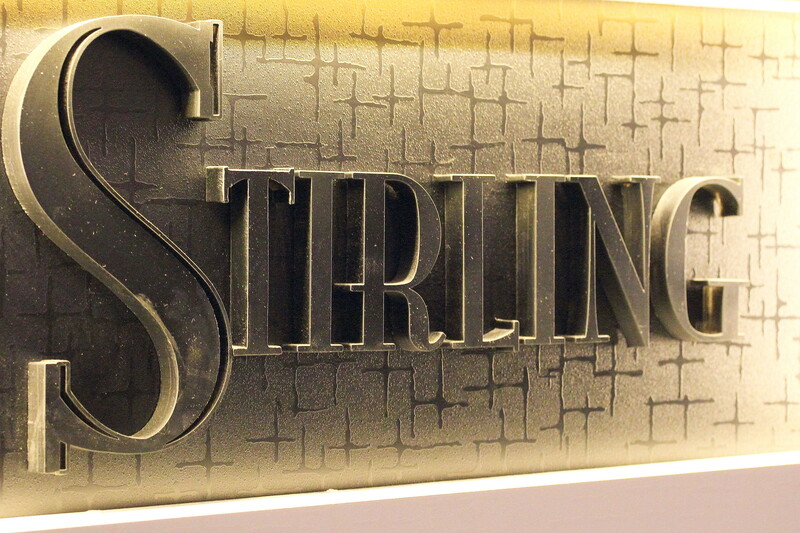 This week, my hunger brought me to Stirling Bar & Grill along Upper Bukit Timah Road. I heard that there is a grill master in the kitchen and I could not wait to find out more about his specialty, grilling. 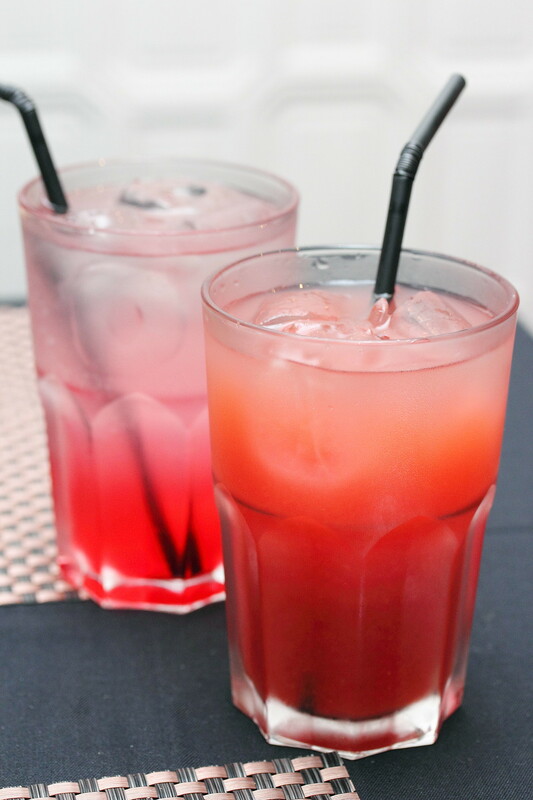 We started with some drinks while waiting for our dinner to be served. Soon our Cream of Tomato Soup ($5) was served. 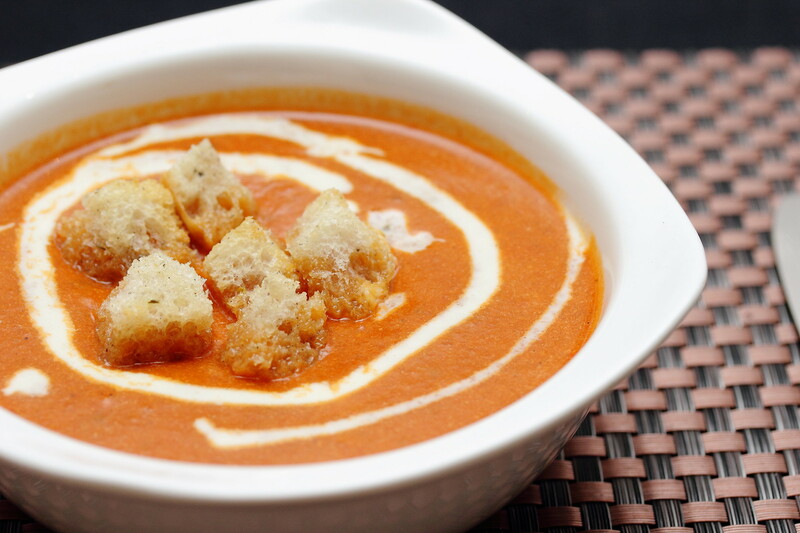 Love the balance from the sweet tomato puree with hints of tanginess boiled in a cream and vegetable broth. Dinner seemed promising starting on a sweet note. Grilled Watermelon ($12) is a starter that is not commonly served in restaurant. 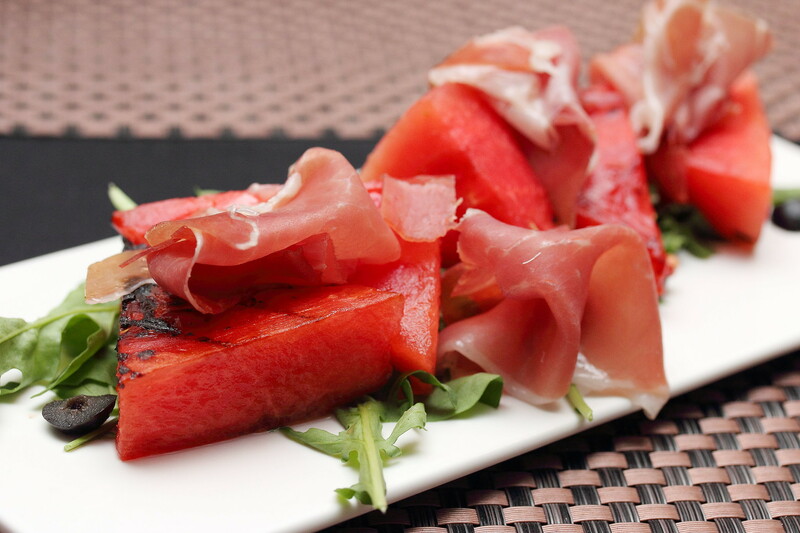 I like the concept of using the fruity sweetness of the watermelon to complement the saltiness of the parma ham. Unfortunately I felt that the watermelon was not sweet enough with the taste inclined towards the salty side. We actually sent the pan seared Crispy King Salmon ($23) back to the kitchen because we felt that it was a bit too pink to our liking. When we met the chef and owner after the dinner, we were told that this is how they cooked and served it. I thought it was a bit on the border line. Nevertheless, the whole dish itself was very enjoyable. 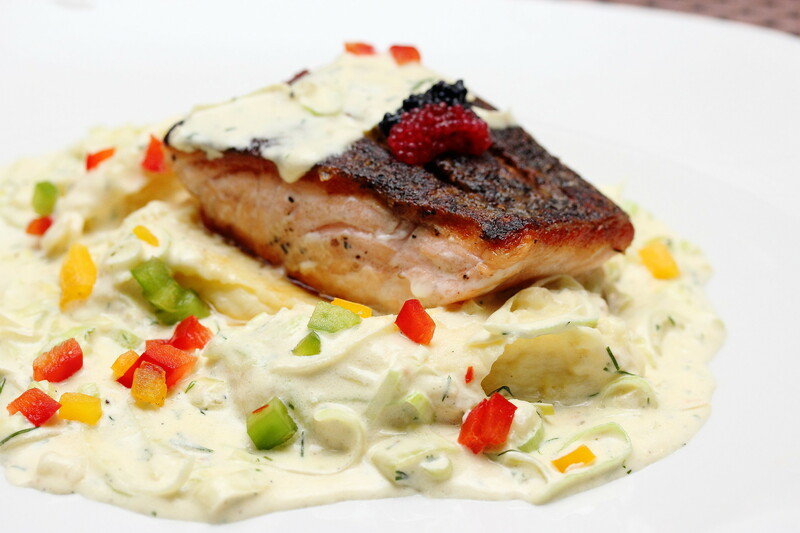 The creamy dill and leak sauce was a winner complementing the delicious king salmon. Next up is the highlight that showcases the chef's skill. I had the Charcoal Grilled Ribeye 300g ($38), topped with avocado butter and served with sauteed mix vegetable and truffle fries. 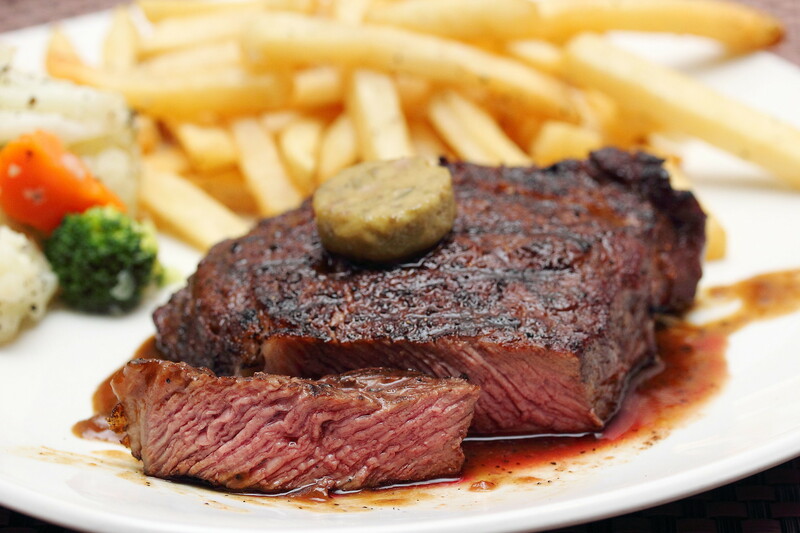 The beautiful piece of steak is slow charcoal grilled before finished off with high intense heat. The piece of ribeye was not only juicy but extremely flavourful. This is one of the best grilled steak I have eaten for a while. Furthermore the price point is very affordable for the delicious piece of beef. Wrapping up the dinner we tried the Classic Crepes with Lemon Zest ($6). There is also a choice of nutella. 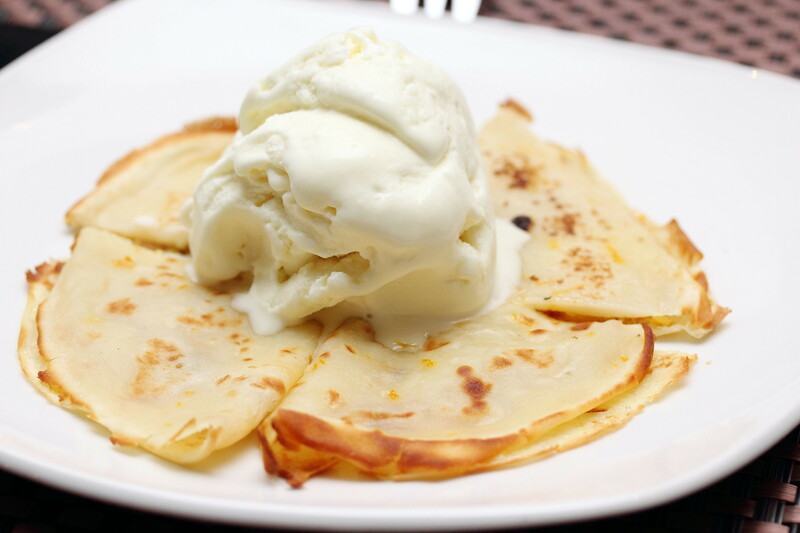 It was a beautiful finishing to the dinner with the thin and slightly crisp on the exterior crepe with zesty lemon stuffed in between. Overall the food at Stirling Bar & Grill is good and reasonable priced. The charcoal grilled steak is definitely the highlight of my dinner experience here.